Posts from the Past: Carl B. Ylvisaker's impact on the college. Carl Berthold Ylvisaker was born in Robbinsdale, Minn., on Jan. 13, 1896, to Johannes and Kristi Ylvisaker. After completing his studies at St. Paul’s Central High School in 1913, Ylvisaker earned his baccalaureate degree from Luther College in 1917. In 1920, he graduated from Luther Seminary, where his father was also a professor. The Rev. 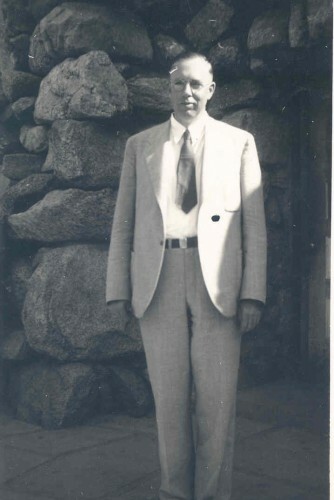 Ylvisaker’s first call was to a parish in Northwood, Iowa, where he served from 1921 to 1926. He was then called to Concordia to serve as the chair of the religion department, which he assumed in 1927. During the year between his call in Northwood and moving to Moorhead to join the Concordia College faculty, Ylvisaker embarked on a trip to Europe and Palestine for study and contemplation. During his time in Europe and the Middle East, he visited many artistic and holy sites including the Louvre, places in Egypt reportedly visited by Christ and the city of Jerusalem. 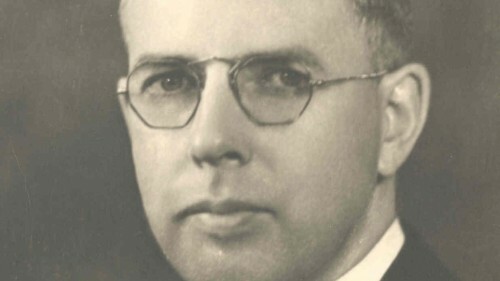 While at Concordia, he also served a brief stint as the dean of men in the mid-1930s. Ylvisaker’s skills and talents were not only in teaching and preaching, but also in the kindness and personal interaction he had with individuals on campus. His students considered him a remarkable teacher always demonstrating humility and kindness. A former student recalled her first day on campus when Ylvisaker personally greeted her. She later learned that he always made a point to learn the names and particulars of incoming students, so he could welcome them upon their arrival to Concordia. Besides teaching classes, Ylvisaker coached tennis, counseled campus religious organizations, and spent his summers at Bible camps. In his spare time, he also played piano. Many students sought out his advice as his wise counsel was well known around campus. His colleagues and students alike noticed these strong qualities of leadership and service in and outside of the classroom. As a result, he received an honorary degree from Luther College, served on the Board of Regents at Waldorf College, and was the faculty member to which the 1941 Cobber yearbook (the Golden Jubilee edition) was dedicated. Ylvisaker passed away in 1945 at the young age of 49. Deeply saddened by the loss, many Cobbers and colleagues wrote articles about their memories of him and the influence he had on their lives and in the church. When the new library building was constructed in the mid-1950s, students requested that the building be named in Ylvisaker’s honor. In 1993, a bronze relief portrait of him was unveiled during Homecoming weekend. Created by J. Paul Nesse, the sculpture greets library patrons and passersby at the Carl B. Ylvisaker Library’s entrance.